In this episode, we start our intensive practice with irregular verbs. We have tried to group them so it will be easier to memorize and thus learn them properly. First, there is a listen and repeat section followed by practice in putting short sentences into the simple past tense. 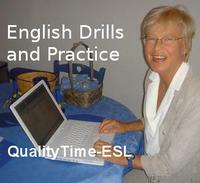 I hope this will help our hard-working learners who really want to perfect their English.